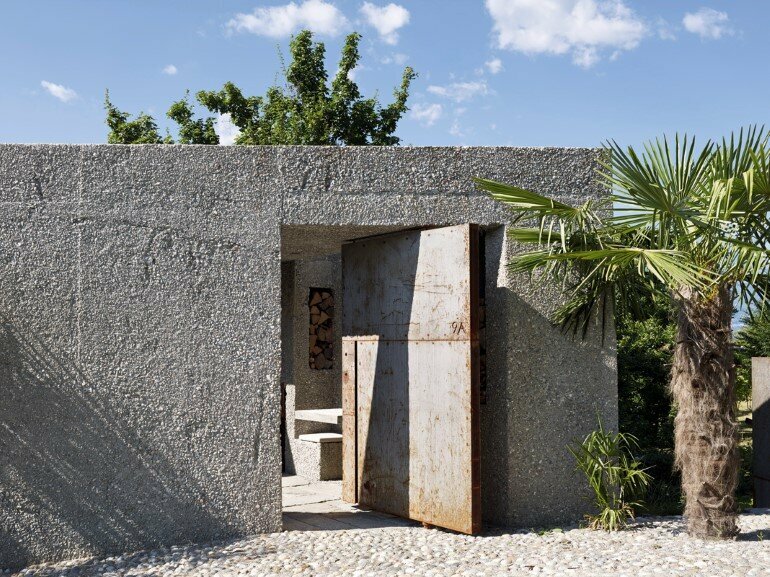 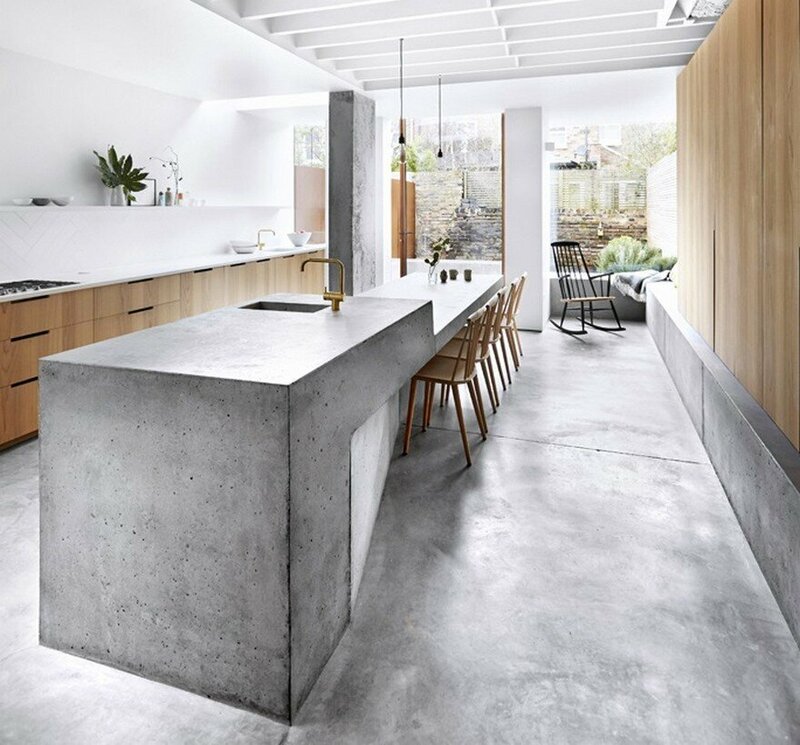 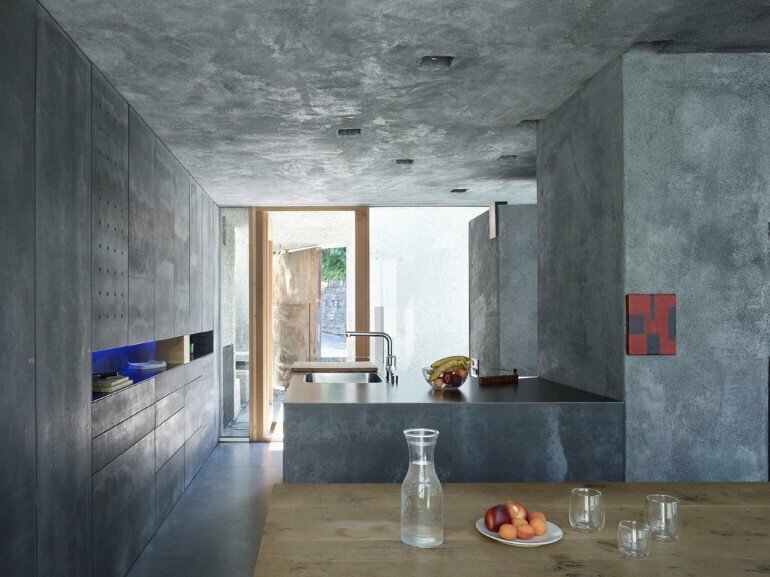 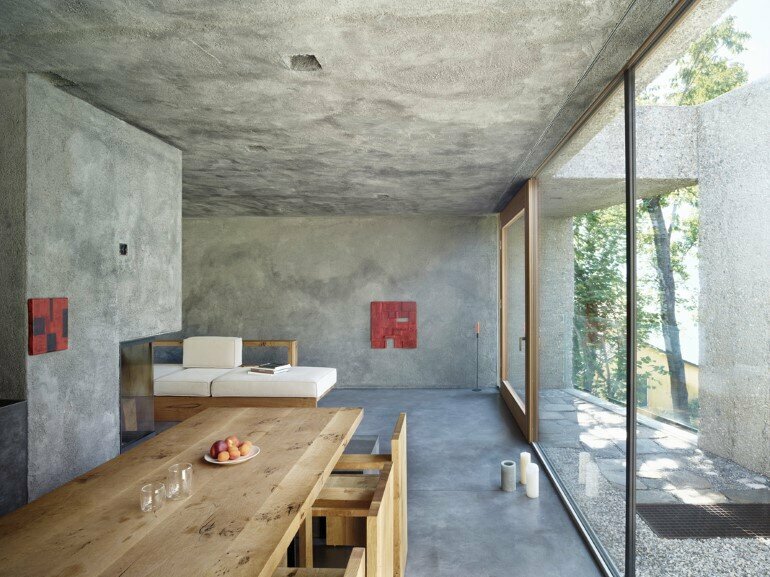 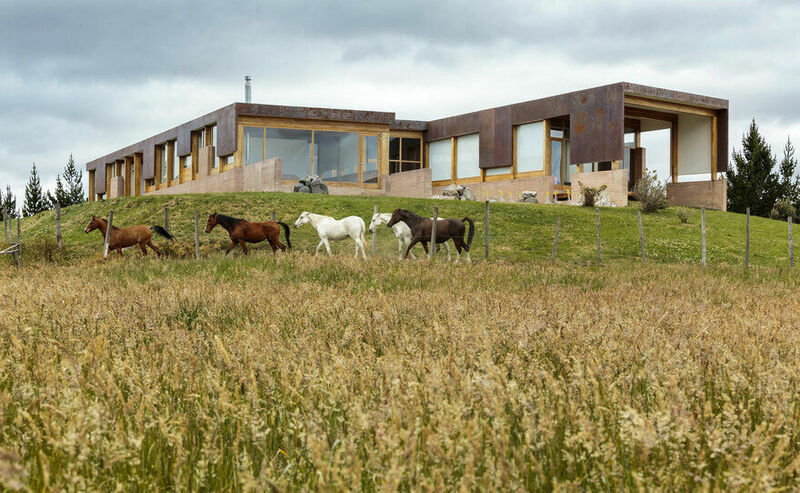 This concrete house was designed by Swiss studio Wespi de Meuron Romeo Architects in Caviano, Switzerland. 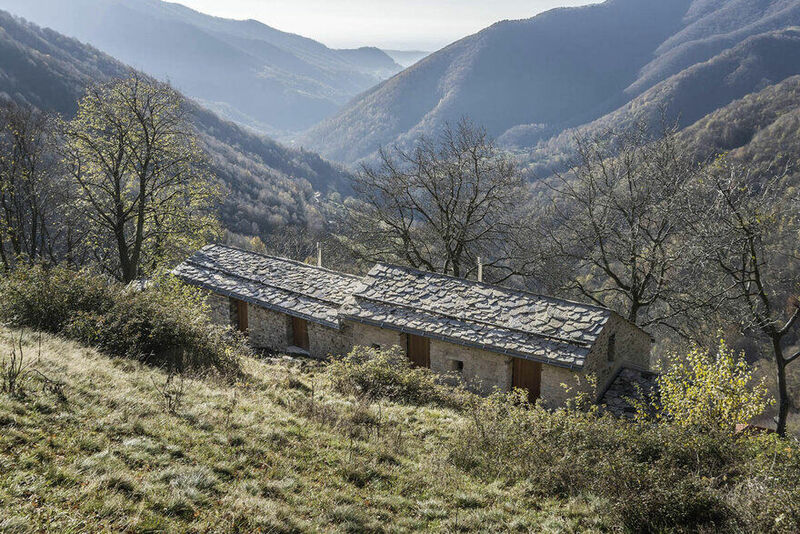 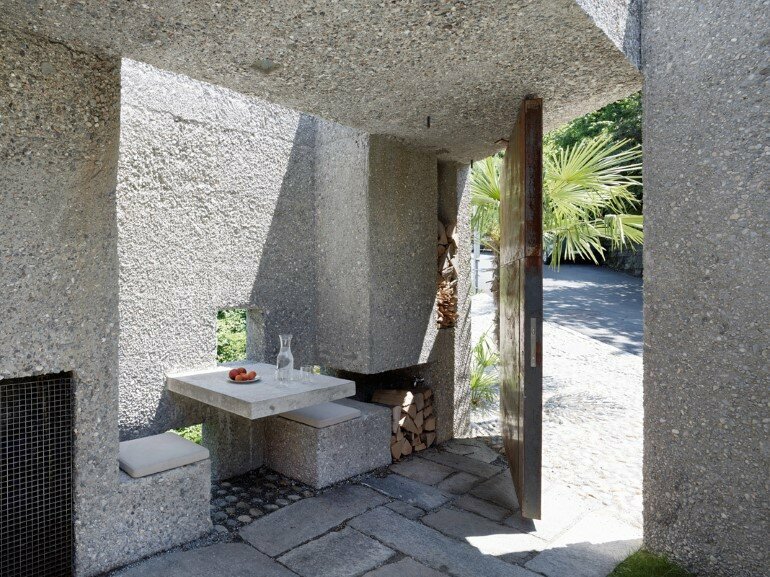 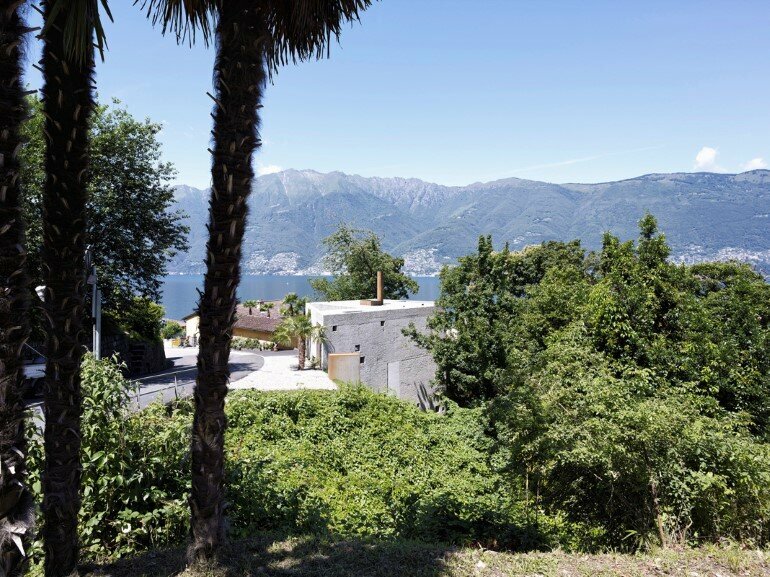 Description by architect: The house, designed as a residence for a family of three persons, was built in the immediate proximity of the architecture office in Caviano on the Lake Maggiore. 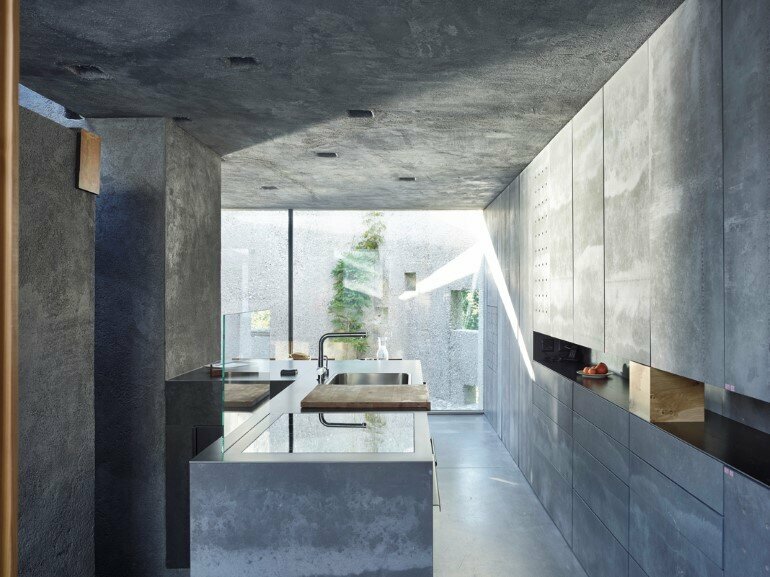 In terms of adequate architectural densification new living space should be created on a remaining area of just 128 m2, on the same plot as the architecture office was built in 1981, without damaging the existing qualities. 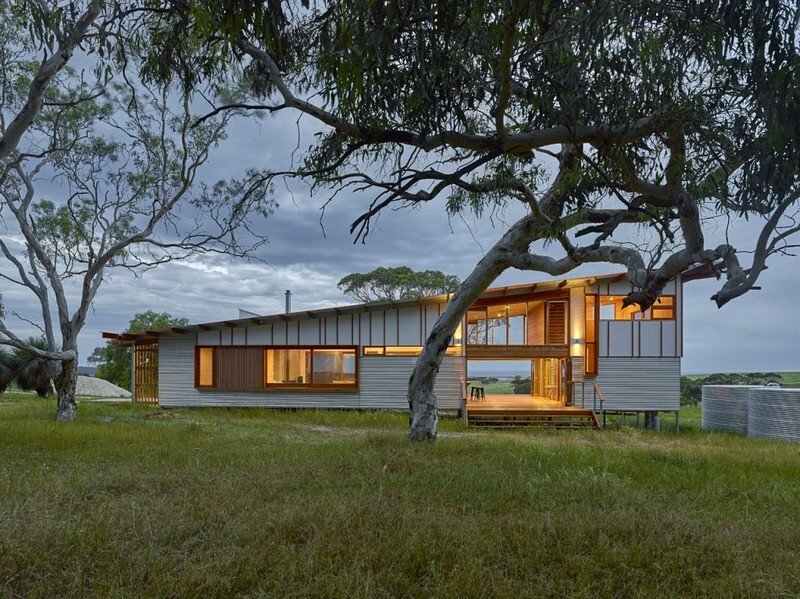 On the contrary, an enrichment of the outer spatial situation should be generated with reasonable densification in context with the existing building. 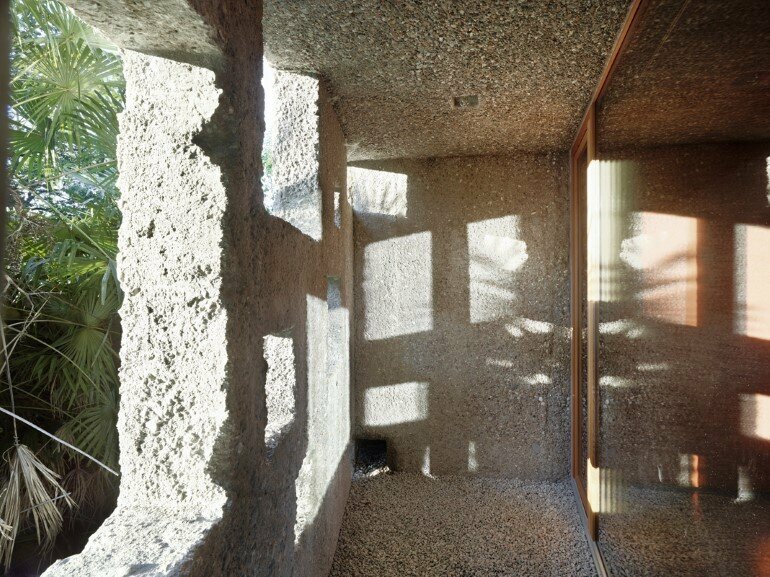 The building laws determined the outer form of the building, what often happens when leftover plots are developed. 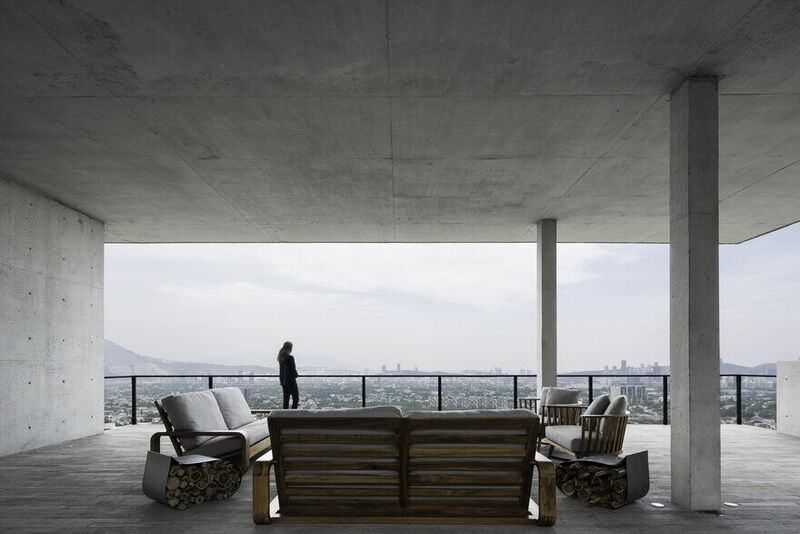 The minimal distance to the road, the minimal distance to the forest, the minimal building distance to the architecture office as well as the right to build on the limit to the southwest neighbour, create an irregular pentagonal form of totally 79 m² surface. 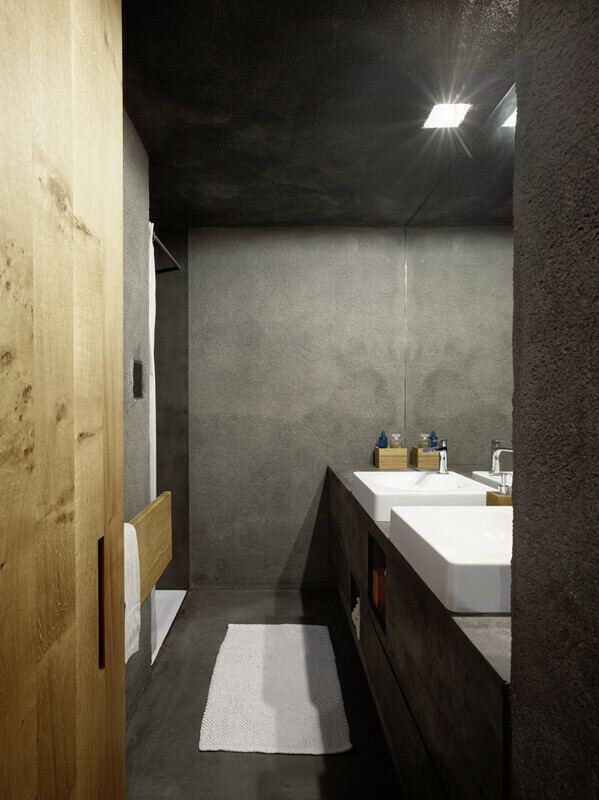 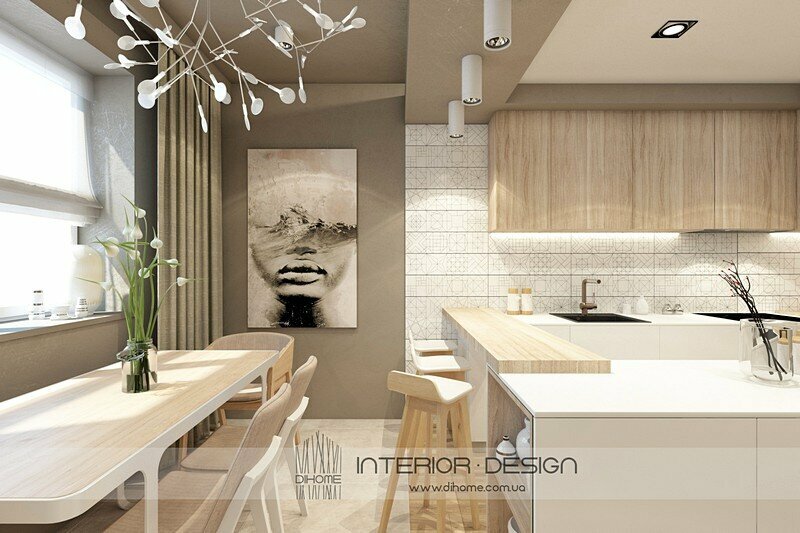 A clear rectangle of 48 m² surface, which is the isolated interior, was integrated in this irregular form. 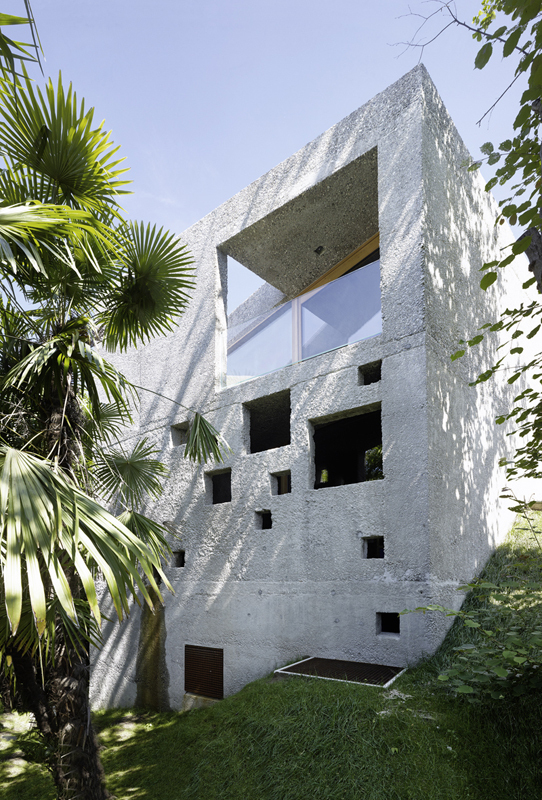 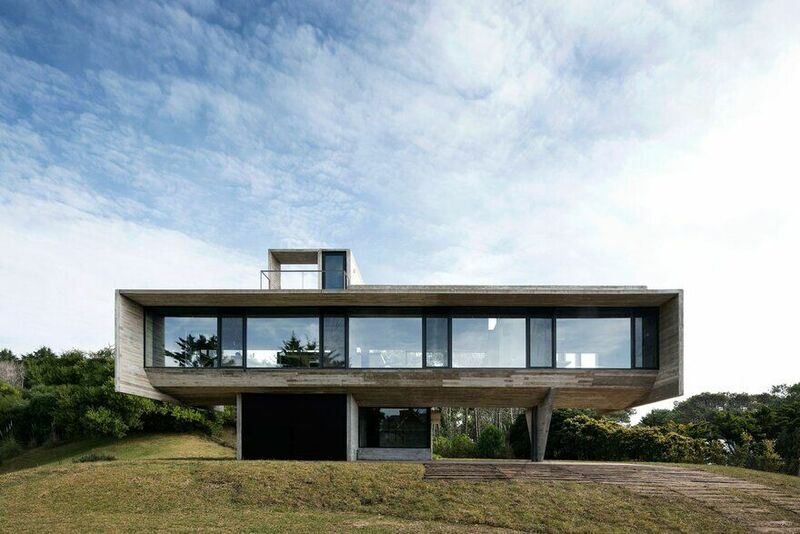 The polygonal exterior shape and the steep topography of the site let the building appear as an archaic stone block in middle of the forest, this is reinforced by the rough washed concrete surfaces becoming darker by the weathering. 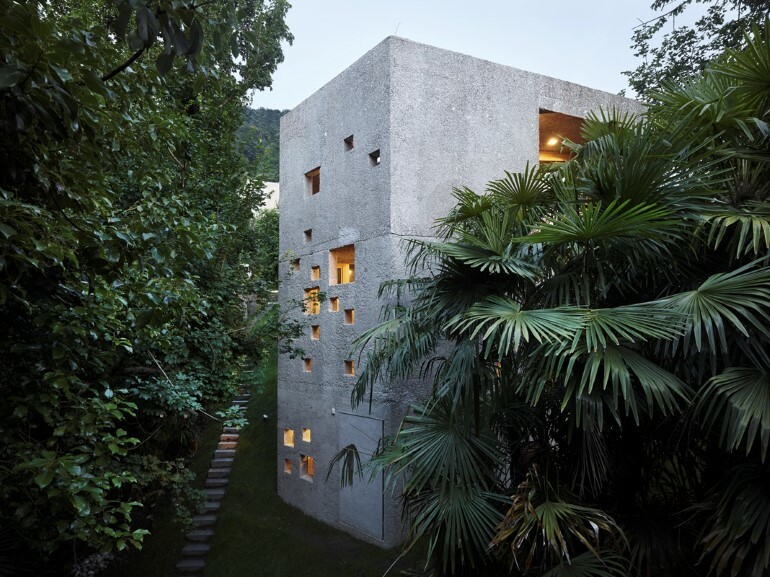 To the mountain-sided street the construction presents itself as a closed, simple one-storey volume. 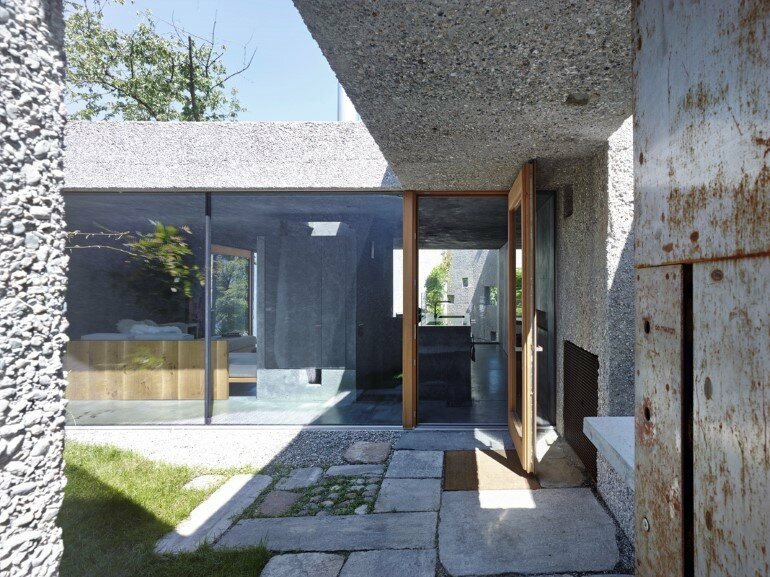 The only opening towards the street is the raw steel gate leading to the entrance court. 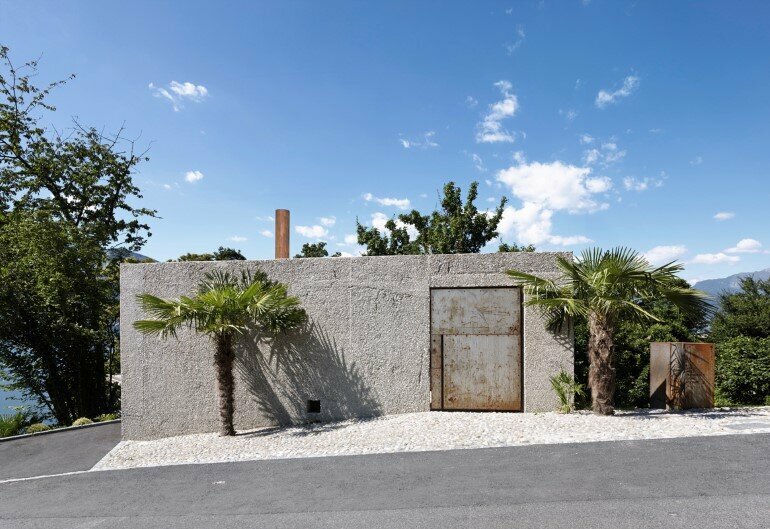 A 3 m wide forecourt with a natural stone pavement and two palms connects the house to the street and upgrade it spatially. 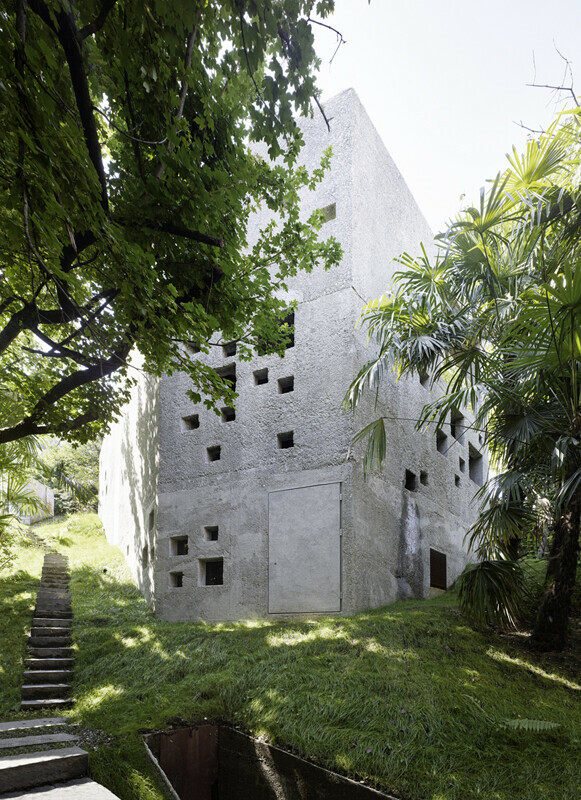 To the valley-side, the house appears as a narrow 3-storey tower. 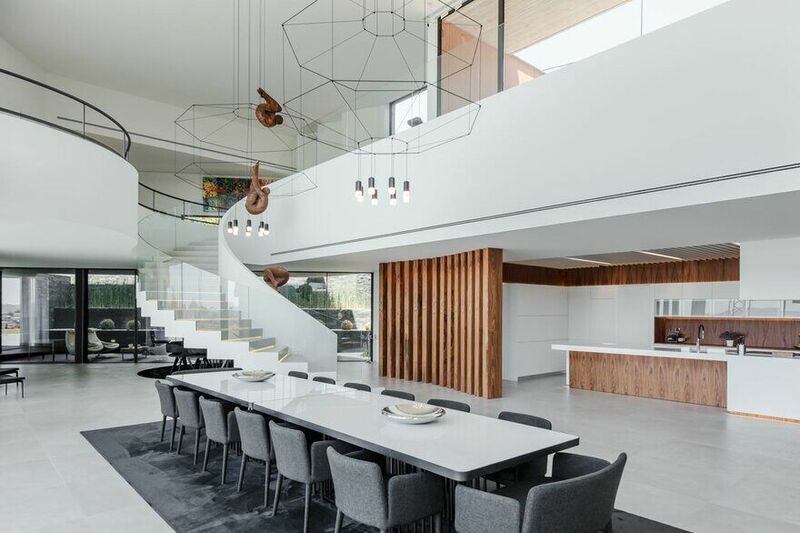 The house is organised on three floors: the top floor on the street level accommodates the entrance, the main living area and dining with the open kitchen, on two sides it’s completely closed and on the other two sides it’s completely vitrified towards the courtyards. 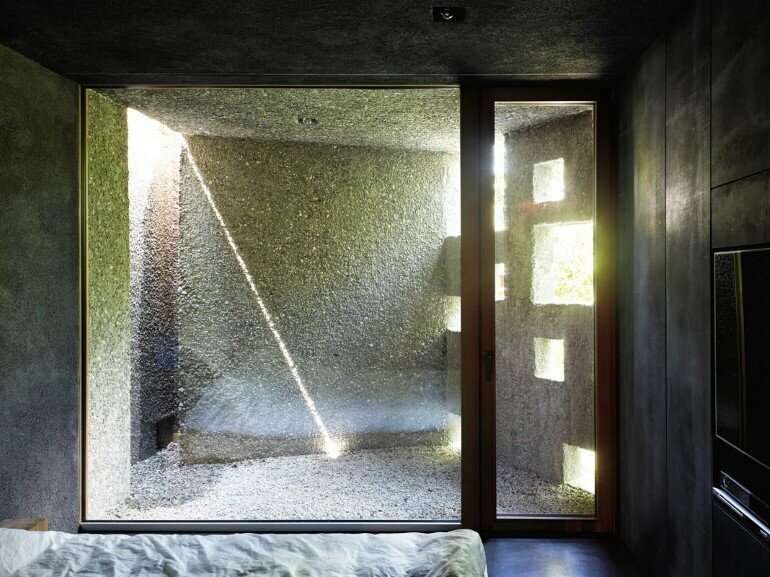 The entrance courtyard on the mountainside protects the house against insight from the street and in the meantime it lets the sunlight in. 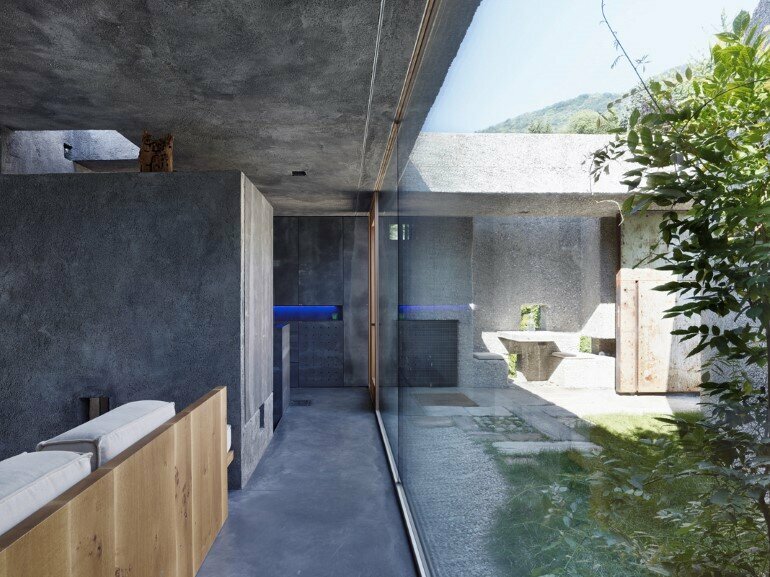 The inner courtyard on the seaside releases the view to the lake and the mountains through a big roofed opening; while it’s closed wall surfaces reflect the sunlight to the inside. 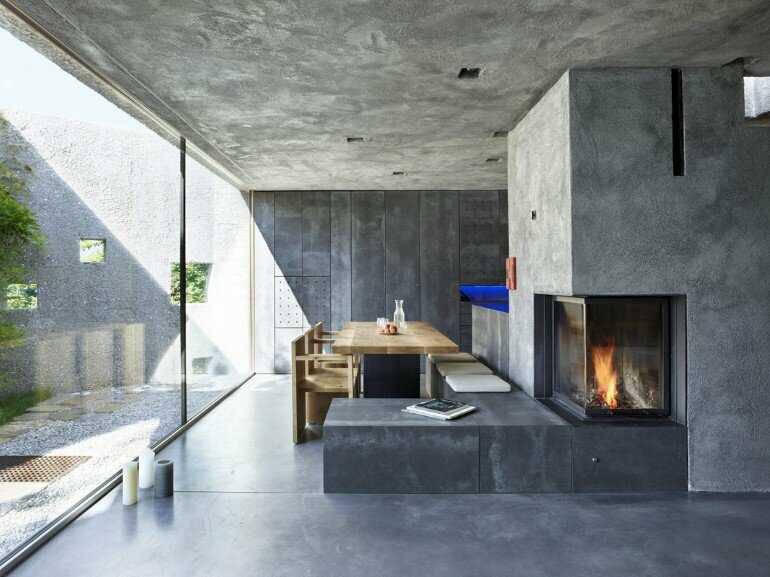 Both courtyards, each with a wisteria, let the living room becomes a “garden” room and let the inhabitants experience in an unusual intense way the varying atmospheres of the weather and the light. 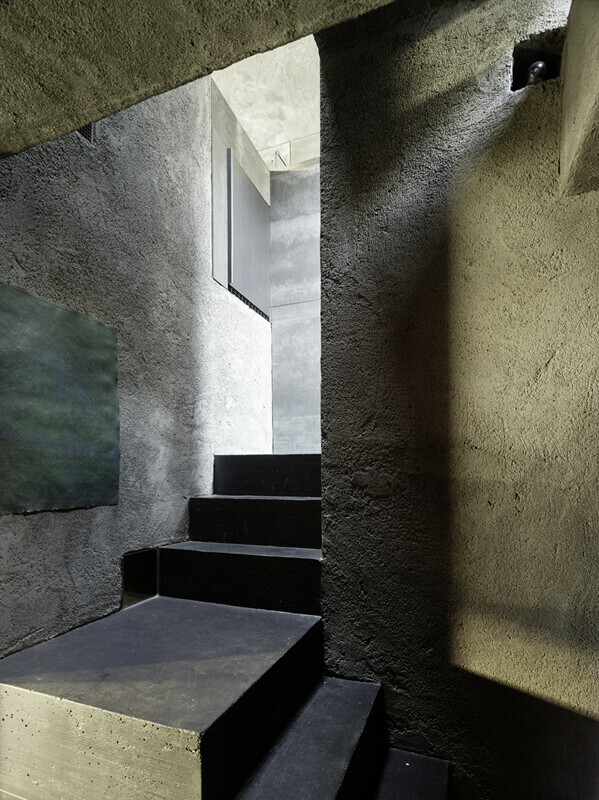 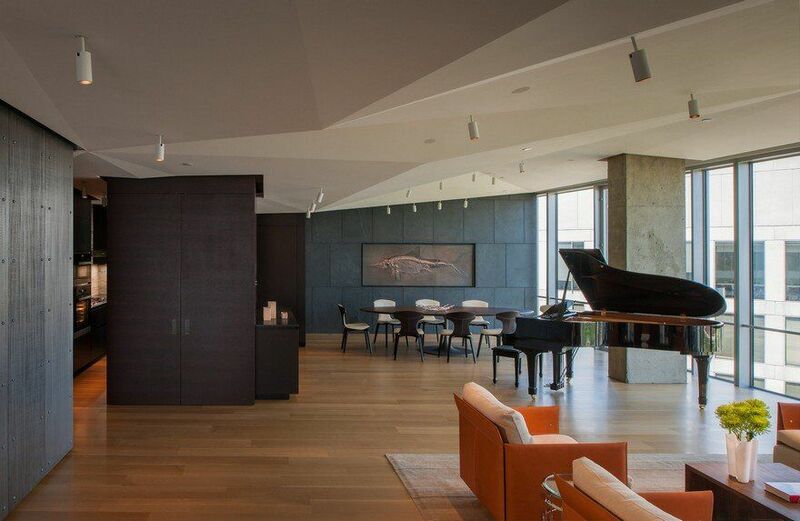 A skylight above the staircase allows light to penetrate into the lower floor, which accommodates two bedrooms, each with its own outdoor loggia, the bathroom and the stairs to the cellar, where is the technique and a workspace.